and create new business & IT opportunities and value. Realizing the Intelligent Enterprise’s value is key to building customer loyalty and growth, improving operational efficiencies, and reducing costs, which contribute to staying ahead, no matter what industry you are in. Senior leaders in SAP customer organizations who appreciate peer-to-peer networking, along with sharing insights with global experts, have found that the SAP HANA Executive Advisory Council (HEAC) provides a community of colleagues to address compelling business and IT challenges. A recent survey found that CEOs are focusing on changing and upgrading the structure of their companies, including a deeper understanding of digital business, because incremental growth is no longer good enough. Having the visibility, focus, and agility to drive outcomes such as delivering exceptional customer experiences, empowering employees more effectively, doing more with less, and driving new revenue streams and business models are just some of the outcomes made possible by being an Intelligent Enterprise. The deep incorporation of Intelligent Technologies such as artificial intelligence, machine learning, Big Data, IoT, analytics, and blockchain will change the way companies do business, and drive ongoing innovation. Whether it is the products we purchase, or how we purchase them, retailing and manufacturing are all getting digitized, connected and smart. Retailing is moving from transactions to 1:1 intelligent relationship engagement, while manufacturing is moving from mass production to technologies such as 3-Dimensional printing of custom products on-demand. And it is just not products and services, but also how we ourselves are becoming more intelligent. The digital transformation of healthcare is happening now, from generic treatment based on individual disease management to personalized medicine. Whether it is social networks or internet of things giving rise to big data, everything we touch is becoming faster and smarter – but also becoming increasingly more complex. So how can leaders ensure proper selection and adoption of the new technologies, and how can they learn from one another? 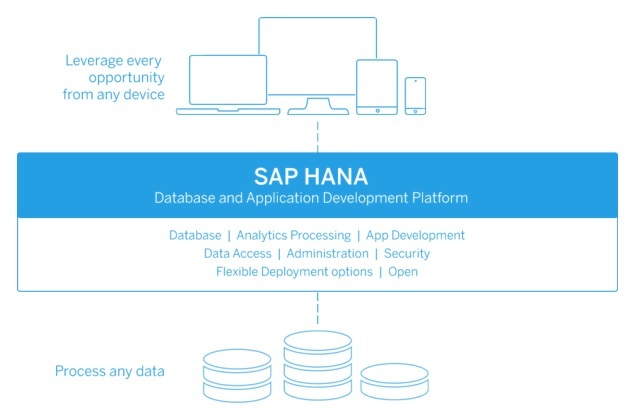 SAP HANA, a core component of the Intelligent Enterprise framework, is an in-memory data platform that lets you accelerate business processes, deliver more business intelligence, and simplify your IT environment. It can be deployed on premise or in the cloud. By providing the foundation for all your data needs, SAP HANA removes the burden of maintaining separate legacy systems and siloed data, so you can run live and make better business decisions in the new digital economy. The SAP HANA Executive Advisory Council (HEAC) addresses the concerns of the modern enterprise. 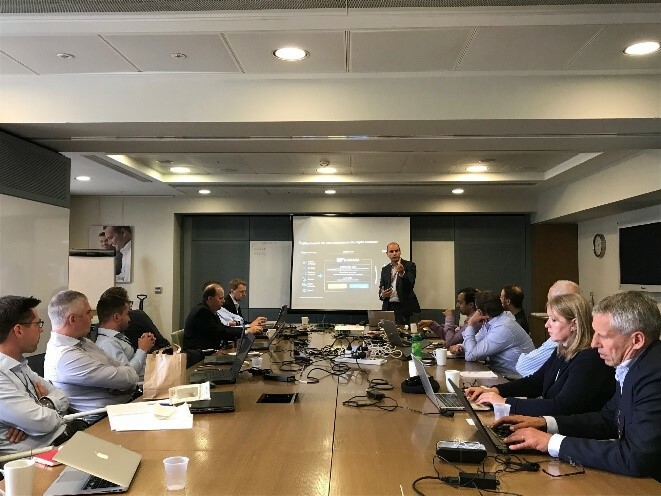 Created by customers, for customers, the Council is a global body of SAP HANA customer executive thought leaders, willing to share their experiences, needing to communicate not only with just vendors, but also with one another. The Council was launched in 2013 in Canada, and we ran meetings that year and the next. In 2015 we combined our chartered group focused on SAP HANA Enterprise Cloud (HEC), formerly called the SAP HANA Enterprise Cloud Executive Advisory Council (HEC EAC) and aligned it with the main Council. Our combined HEAC, covering on premise HANA as well as cloud-based HANA, is made up of customers who are eager stay ahead of the technology curve and share experiences and best practices. Our SAP HANA partner INTEL became a global council partner in 2015. For 2016 we explored other areas associated with the SAP Cloud Platform as well as Analytics and the Internet of Things (IoT). In 2017 we further expanded key topics around SAP Leonardo, SAP Cloud Platform, SAP S/4HANA, Design Thinking and Digital Innovation. And in 2018 we continued to expand the HEAC Council touch points to include new customers in new regions. For 2019, our HEAC Seventh Year, we continue the vision set forth by the Council founders: sharing knowledge, understanding the strategic SAP technology roadmaps, and extensive executive networking. We continue to drive award-winning thought leadership and experiences for our customers who make the investment in time well spent with other Council members. We can all learn together, from each other, about the adoption of new technologies, and how we ensure that these investments will make a significant difference to the organization. With the inclusion of the cloud to our group, we now offer you a more in-depth view of not only traditional SAP HANA implementations, but also everything you need to know about our SAP Cloud Platform strategy. This allows you to influence the direction of the SAP on premise and cloud offerings with the SAP product team so that the capabilities remain the best fit for you and your business needs. For 2019: We are continuing our expansion into additional global regions. Plans are in motion to localize HEAC meetings in North America, Latin America, Australia, Europe, Africa, Japan and China regions! Please consider joining our council family. 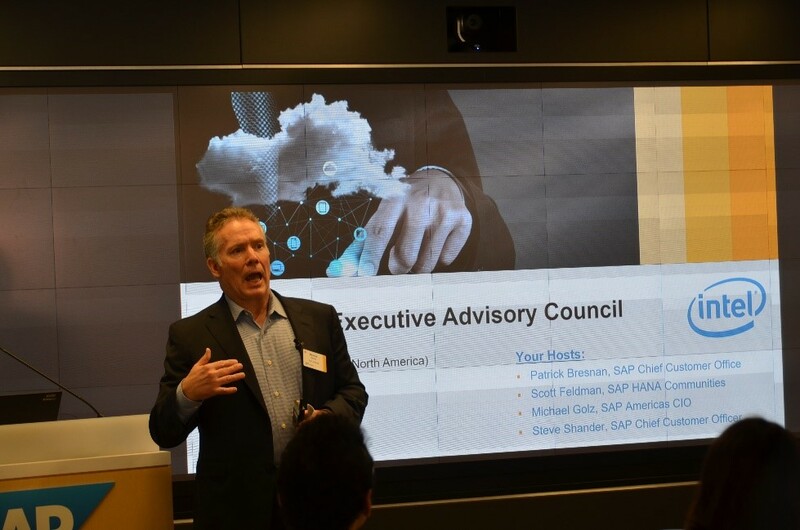 Why Join the SAP HANA Executive Advisory Council? What? The HEAC was created for you – the SAP HANA customer executive. It is managed by SAP executives, but the content is 100% customer-driven. The Council is globally sponsored by SAP Development and led regionally by senior SAP executives who work directly in that team. Those executives have vast experience running technology organizations in end-user companies – even prior to their roles at SAP. Major topics always include discussion and roadmaps on the SAP HANA Platform, SAP S/4HANA, and SAP Cloud Platform. Additional topics are frequently added to meeting agendas, e.g. SAP Leonardo, Analytics and associated technologies. Who? If you are a customer who has made SAP HANA investments or are considering working with SAP HANA in the cloud, and your organization has brought SAP HANA live in your enterprise, or you are significantly investing in a HANA POC, then you should join us. We wish to have your company represented in this Council. Titles include CIO, CTO, COO, and senior executive Line of Business titles. Organizations should have made SAP HANA investments and have at least one live project or a deep POC in place. When? The SAP HANA Executive Advisory Council meets 6 to 8+ times per year, in different global regions, with live in-person sessions. These are smaller meetings, so that delegates can afford the opportunity to get to know other delegates, exchange stories, share knowledge and best practices, and focus on changing the state of the art around technology investment impact to the enterprise. Where? The Council meets at customer locations throughout the world. In 2013, our first two meetings were held at Maple Leaf Foods in Toronto, Canada and at eBay in San Jose, California. In 2014 meetings were held at Adobe in San Jose, California, Shell HQ in The Hague, Netherlands, and at the University of Kentucky. For 2015, our spring meeting was at SAP and the fall meeting was at Hewlett Packard. In addition the ANZ Region held its first HEAC meeting in Sydney in November. In Q1 2016 we held our meeting at Intel’s Santa Clara world headquarters, and in Q2 we launched our first Latin American meeting in São Paulo, Brazil at customer Suzano. In July 2016 we held our second meeting in Sydney, Australia and in the fall of 2016, we delivered in New York City as well as the second meeting in São Paulo. In 2017 and 2018 we held meetings in California, São Paulo, London, Amsterdam, Melbourne, New York City, Leipzig, Mexico City and Beijing. We are already planning sessions in 2019 in North America, Latin America, Germany, South Africa, China and Japan. Global? The Council is global. Although the initial meetings were held in North America, meetings have been held in Europe and expansion to other regions is scheduled. If you wish to host at your facility, please contact the names below. Virtual Connections on SAP JAM? Yes, we have our own PRIVATE SAP JAM Site for our HEAC Community. Once you are a member you will gain full access and benefits of our materials & networking on the site. When are the next planned meetings? For early 2019, we are currently planning meetings in California, Cape Town and Latin America. Many additional meetings in other global regions are planned for the year; stay tuned for further information on those meetings, which you are invited to join as well. Industry? The Council comprises all industries for the moment. SAP realizes that SAP HANA topical discussions will have a very specific industry flavor to them at times, but for our Council it is important to gather all opinions and input from cross-industries. If you wish to have a significant number of SAP HANA customers form a Council around a specific industry, then contact the names below to review further. Also, HEAC works closely with SAP Industry and User Group communities to help align to specific industry topics. Ready to Join? Interested to host a meeting? It is very easy to get involved. Whether you run SAP HANA on premise, in the cloud or utilize the SAP Cloud Platform, we have a spot for you in the HEAC Council.